Wondering how to fatten up a dog? Feed them, feed them, and feed them some more. Actually, it is not always that simple. If your pet has been listless and off their feed or looks thin and malnourished, it is important to find out why, and take steps to alter the situation or treat the dog medically. To be healthy and active, your dog needs to eat well and maintain the right weight for its breed. Being underweight can lead to health issues that can negatively impact the quality of your pet’s life. As a pet parent, you must pay attention to the type and amount of food that your dog consumes and make sure they are getting the proper nourishment needed to fatten them up to a decent weight. 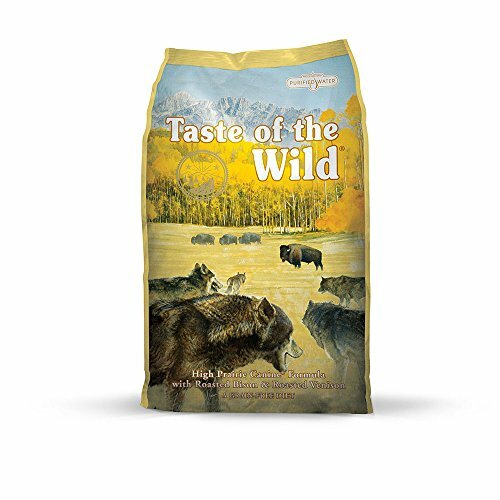 The main ingredients include bison, venison, lamb, fish meal, eggs, potatoes, sweet potatoes, tomatoes, peas, blueberries, chicory root, and yucca extract. According to some pet parents, their pets have been healthier and more energetic since being put on this diet. Before trying to fatten up your dog, you need to make sure if weight gain is necessary. Find out what the proper required weight is for your dog’s breed. Some dog breeds, like the Greyhound, have slim, streamlined bodies, while others, like the Bulldog, have pudgy silhouettes. Check if your dog has a good appetite and if they are as active and alert as usual. If there is nothing wrong healthwise and they are in good mental and physical shape, there’s no cause for concern. Pass your hand over your pet’s ribcage. Does the skin feel too thin? Can you feel the individual ribs? Do the dog’s spine and tail bones protrude visibly? This is one of the most obvious ways to know if a dog is underweight. In a healthy, well-fed animal, the ribs, spine, and tail bones will not stick out in a noticeable way. The dog won’t have an hourglass figure when viewed from above and there will not be an abdominal tuck when seen from the side. In such case, your dog does need to gain some weight. Some dogs are finicky eaters. You have to hunt high and low to find the right gourmet food to please them. Not eating properly is one reason why your dog might be underweight. Weight loss can occur due to heart disease, kidney disease, liver disease, diabetes, and intestinal problems. Pregnancy, proximity to females in heat, and aging can also put dogs off their feed and cause them to become underweight. It is best to have your veterinarian do a health-check and see if anything is wrong. Parasites like hookworms, whipworms, tapeworms, and heartworms steal nutrients that your dog should be absorbing and this can cause your pet to lose weight. To prevent such intestinal parasitic infestation, deworm your pet on a regular basis and make sure your pet lives in sanitary conditions and has access to clean water. If dogs get less food than what they need, they are going to lose weight. The dog food may not be of good quality and may contain junk fillers and food substitutes that don’t provide your dog with necessary nutrients and are harmful to the digestive system. Too many pets and bad food management can contribute to weight loss. Some dogs would rather forgo eating than get into fights with more aggressive dogs. If you have a pet, it is your responsibility to see that they get to eat well and adequately without interruption or fear of another dog trying to take the food away. they are exposed to loud noises. In such cases, the dog may refuse to eat and will lose weight. Not eating can result in a drop in blood sugar level and this glucose drop can weaken bodily organ functions. A healthy dog will have a good digestive system that will help the dog to get all the necessary nutrients to remain fit. A healthy dog will also have a robust immune system to protect them from many health problems, improving their quality of life. To fatten up your dog, take the dog’s breed, age, and level of activity into account. You don’t want a fat dog, you want a healthy one that has the right weight for its type. For this, make sure that your pet is getting a balanced diet containing the right amounts of vitamins, and macronutrients. If you need to change your dog’s diet, do it gradually so as not to upset your dog’s digestive system. Introduce new, healthier foods in small amounts and see how your dog reacts to these over a few weeks. Does your dog seem more alert and active? Does their coat seem healthier and shinier? Is the dog’s stool normal and firm? If yes, then you are on the right track. Feed your several meals per day instead of just one or two meals. Keep meals at least four hours apart, and feed your pet at set times. Eating on schedule helps improve digestion. Feeding commercial puppy food can help to fatten up a dog since puppy food contains a higher amount of nutrients than adult dog food. Whether you decide upon commercial dog food or home-cooked dog food, make sure that you feed your pet only high quality food. Groom your dog regularly, both for hygienic reasons and to check for any possible health issues that might cause appetite loss. If eating sufficient food is not helping, consult your veterinarian and have supplements prescribed for weight gain. Exercise your dog regularly to help them gain an appetite and stay fit. Don’t overdo it though. Exercise in moderation, according to dog’s weight, stamina, and interest. Remember to spend lots of time outdoors. With commercial dog food, check the bag for feeding instructions. The manufacturer generally recommends the amount of food to be fed and the number of feeding times for dogs of particular ages. Also, consult your veterinarian. In malnourished dogs, the stomach shrinks and so it is important to feed them small food portions at a time and increase these after a week as the dog regains its normal digestive ability. 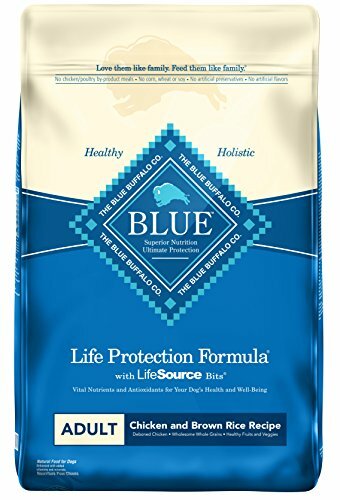 According to the manufacturer, this dry food will improve your pet’s metabolism, build stronger bones and muscles, and improve skin and coat quality. The main ingredients include vegetables, fruit, whole grains, and chicken. Grain-free and protein-rich, this dry dog food contains turkey, chicken, vegetables, minerals, and vitamins. It is free of artificial preservatives, colors, and flavors, meat by-products, or soy products. Some pet parents report that this diet has improved their dog’s digestion and coat. 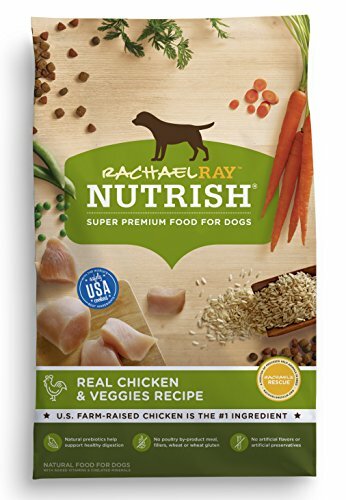 This nutrient-rich, high-protein dog food consists of freeze-dried meat, fruit, vegetable pieces, and dry kibble. The manufacturer claims that the food is good for your pet’s digestive and immune systems, not to mention the dog’s skin and coat. 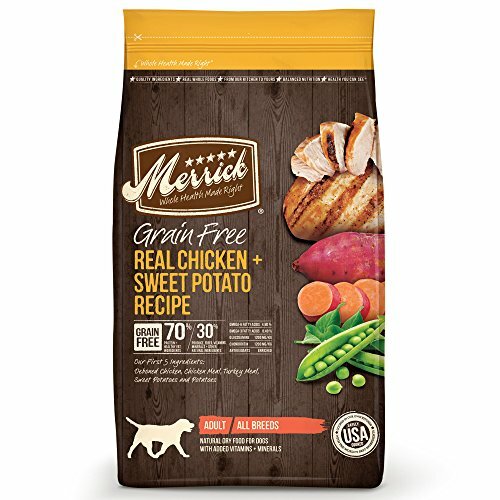 There are no poultry by-products, gluten, fillers, artificial preservatives, flavors, and colors in this dry food. 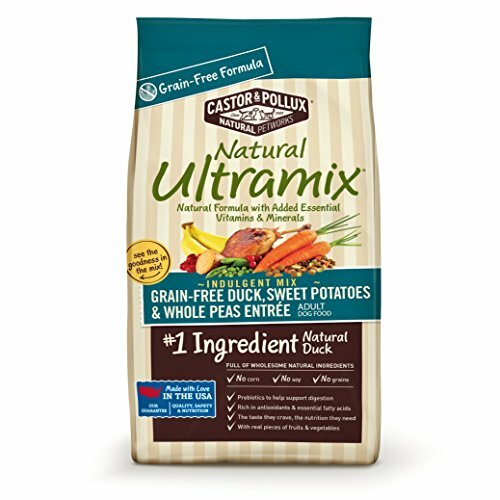 The main ingredients include chicken, rice, soybean meal, beet pulp, carrots, peas, and olive oil. The food is easy to digest and will help your pet gain weight. 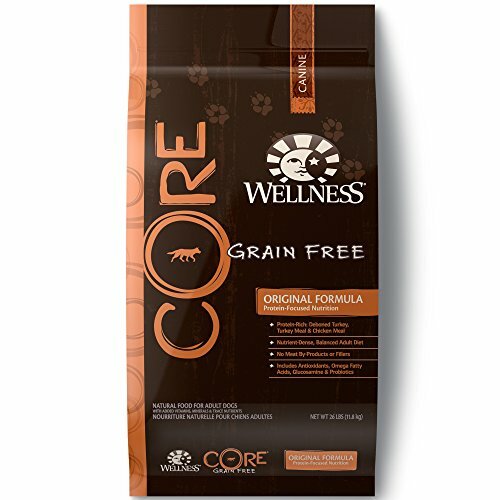 Made with whole grains, rice, chicken, vegetables, and fruit, the kibble is rich in antioxidants and reportedly excellent for dogs suffering from skin and stomach issues. There are no artificial preservatives, flavors, and colors. 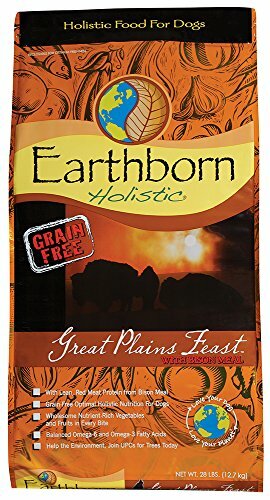 This nutrient-rich, dry dog food contains bison and lamb meat, eggs, spinach, carrots, peas, cranberries, blueberries, and apples, and does not contain grain and gluten. Many pet parents report that their dogs enjoy the kibble and the food has helped clear up existing skin problems. The main ingredients include duck, turkey, lamb, salmon, peas, potatoes, carrots, apples, bananas, and cranberries. Many dogs appear to enjoy the mix of kibble and dried fruit pieces. The glucosamine in the food will benefit dogs with joint problems. 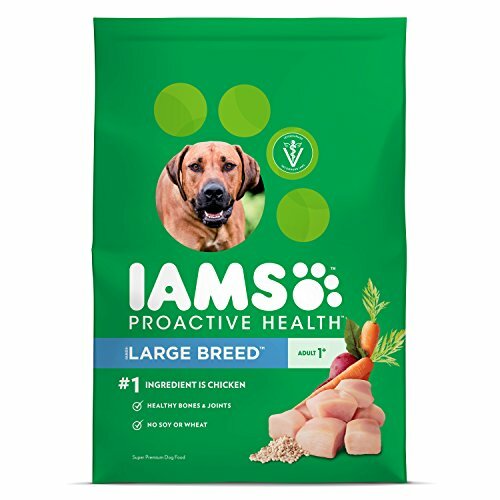 This high-protein, dry dog food contains chicken, turkey, salmon, sweet potatoes, peas, apples, and minerals, and is good for dogs with allergies, sensitive stomachs, and skin issues. 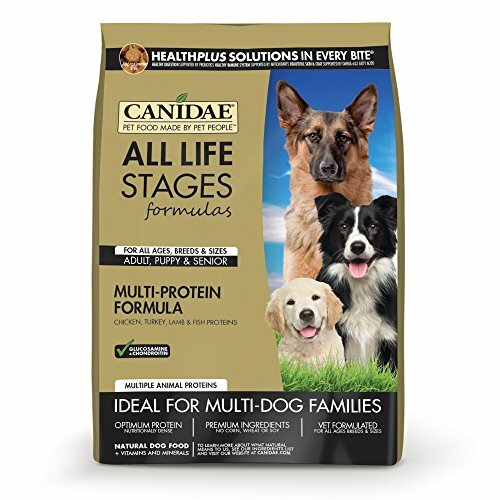 Formulated for dogs of all ages and breeds, this food contains chicken, turkey, and lamb meal, rice, peas, millet, potatoes, and tomato pomace as some of the main ingredients. 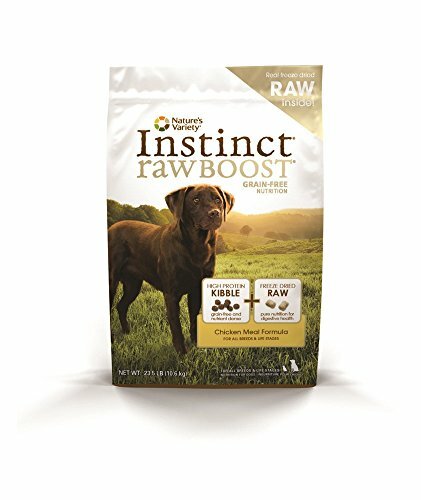 Several pet parents report that this dog food has resolved their pet’s digestive and skin issues. You can help your pet gain weight with natural foods like rice, oatmeal, pasta, chicken, fish, eggs, milk, apples, avocados, leafy greens, beans, pumpkins, gourds, potatoes, sweet potatoes, turnips, cheese, vegetable oil, fish oil, and peanuts. Feeding your dog a nutrient-rich, high-protein diet in a stress-free environment can help bring them up to a desirable weight. Be patient though, as weight gain won’t happen overnight. Maintain a regular feeding schedule, vary your pet’s diet to keep mealtimes interesting, and exercise your pet daily. Watch your pet transform into the healthy, active, and happy companion you always wanted.